Bringing up Charlie: Love the Sales? It's that time again, and if you love the sales you'll love Love the Sales - the site that brings the best bargains from all the big names, brands and stores together and where every day is sale day. And that's just for starters. The site is full of all manner of things from electronics, household goods, furniture, outdoor goods as well as a clothing range no High Street store could ever stock. And all to be browsed from the comfort of your own home. I have a confession. I hate sale shopping. (I don't much like non-sale shopping if truth be told!) But I love a bargain. So sites like Love the Sales are my idea of heaven - all the discount, none of the discontent. 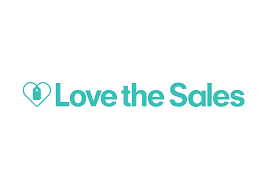 See you at the (Love the) Sales!